Do you want to enjoy maximum luxury at a small price in the German capital? Then you are right with us at the Hotel Helle Mitte in Berlin. 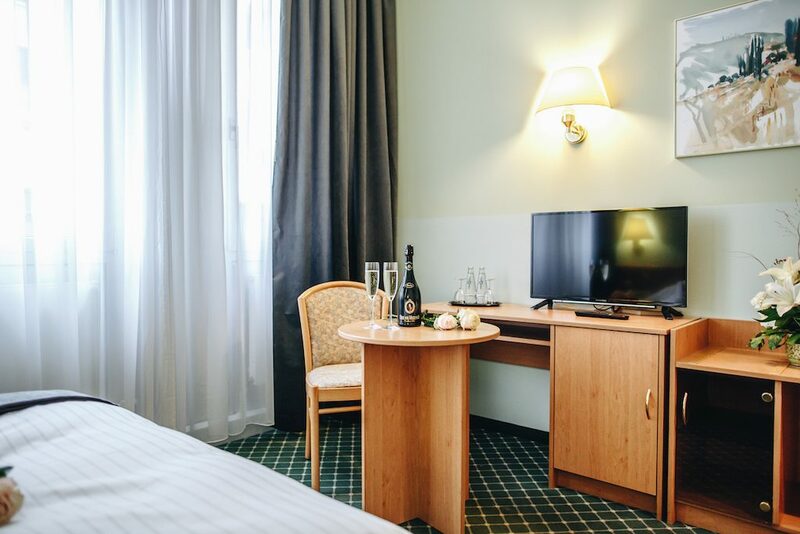 We cater for all business travelers, city travelers and tourists in our exclusive hotel, an upscale and spacious accommodation with all modern amenities, in the form of a comfortable Suite in Berlin Hellersdorf, invites you to stay, because good doesn't have to be expensive. See for yourself! Our comfortable Suits consist of 2 rooms and are equipped with an elegant interior. 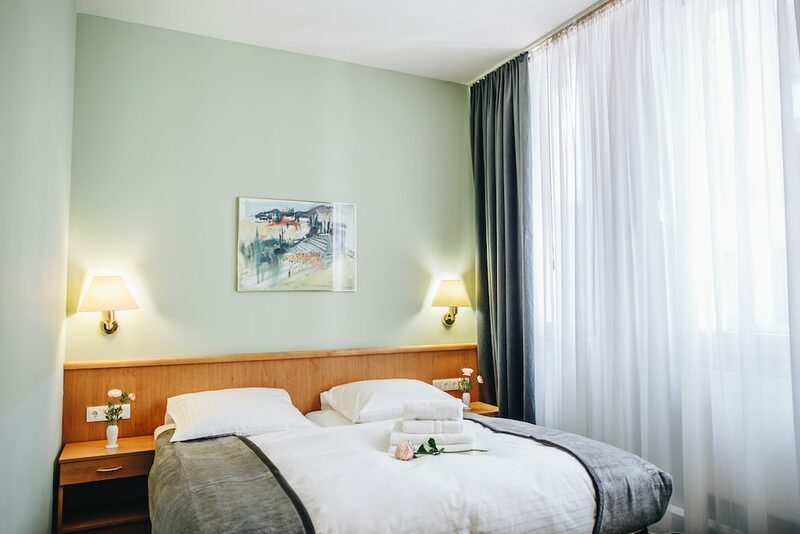 We offer everything you need for a pleasant stay in Berlin, such as a high-quality and inviting king-size bed in which you can rest comfortably and sleep cozily, as well as a spacious wardrobe, where you can store your luggage easily and an extra living room with a comfortable armchair and a separate desk with chair. In addition, we offer our guests a free High-Speed WiFi in all rooms. For comfortable hours, your Suite comes with a state-of-the-art television with numerous digital TV channels, and a practical ventilator in case you get too hot. Of course, each Suite has a separate bathroom with a private toilet and a large and luxurious rain-shower, as well as all the accessories such as bath towels, hand towels, shampoo, soap, and a modern hairdryer. As a renowned hotel in Berlin Hellersdorf we offer our guests an exclusive and varied breakfast buffet, which offers all kinds of treats for every taste. Each Suite also has a fully equipped Minibar to provide 24-hour service. Berlin also offers international restaurants and a cosmopolitan and diverse cuisine, in close proximity to our hotel. Thus, gourmets of different tastes in the world capital will surely get their money's worth. Thanks to our excellent location in Berlin-Hellersdorf, you will enjoy a direct connection to the public transport network of Berlin with U- Bahn, S-Bahn and buses so you can reach your destination in the capital quickly and reliably, whenever you want. If you prefer to stay mobile with your own car, take advantage of our in-house parking at the hotel. The world capital Berlin is one of the most popular tourist destinations worldwide and this is no wonder. After all, Berlin has a lot to offer. Historical sights like the Berlin Wall, the Government building of the German Bundestag and Alexanderplatz, Check-Point Charlie and many more, to make your stay in Berlin a unique experience that should not be missed. But also in the field of fashion, beauty, art and music, the world metropolis is at the forefront. Numerous stars, labels, large companies and avant-garde artists have therefore settled in the vibrant capital and shape new trends as well as the unique flair and Berliner spirit of the age. With its unique nightlife and its colorful leisure offer, Berlin has the right thing to offer for all ages and tastes, that’s why young and old, singles, couples, business travelers and families can have a wonderful time in the German capital and enjoy an unforgettable stay.